Students are returning from the school holidays, meaning 40km/h school zones are back in operation each morning (8am-9.30am) and afternoon (2.30pm – 4pm) during the school week. These designated school zones are important as they force motorists to slow down and be more alert should a child move unpredictably onto a roadway. School zones are in place to reduce the impact a car would have on a pedestrian if an accident did unfortunately occur. Transport for NSW show that the impact on a pedestrian from a vehicle travelling at varying speeds can have a drastically different outcome. 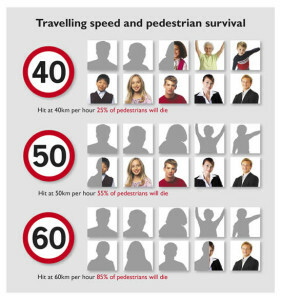 A pedestrian hit at 40km/h is twice as likely to survive than if they were hit by the same vehicle at 50km/h. As well as reduced speed, the most important act you can perform in the roadway environment is holding hands with your children till age 10, as recommended by Australian road safety experts. While our children often understand the basic road rules in a safe, controlled environment, they are severely limited when it comes to interpreting roadways and making safe decisions within the dynamic traffic environment around schools. Restraint by holding hands and using the footpath are the simplest ways we can all combat this. Starting Kindergarten or moving to a new school? New schools + new routines = new dangers. The roadway environment around a school has certain elements our children may not be accustomed to seeing compared to their understanding of the roads around their home – these include pedestrian crossings, flashing school zone signs and the lollipop person who plays such a critical role in getting our children to school safely. Having a road safety discussion with our children before they go back to school, or start school for the very first time, is vital and could be lifesaving in orientating them to their new environment. This is also an important conversation to refresh with older children who walk, ride or utilise public transport to & from school without complete adult supervision. Crossing the road between cars is never safe and this should be made extremely clear to your child, particularly if they are older and travel on public transport. TIP: Encourage your children to ask questions about the roads around their school and quiz them on the different signs you see along the way. Without having to say a word, children are often still learning by modelling the behaviours they see performed by their adult carers. 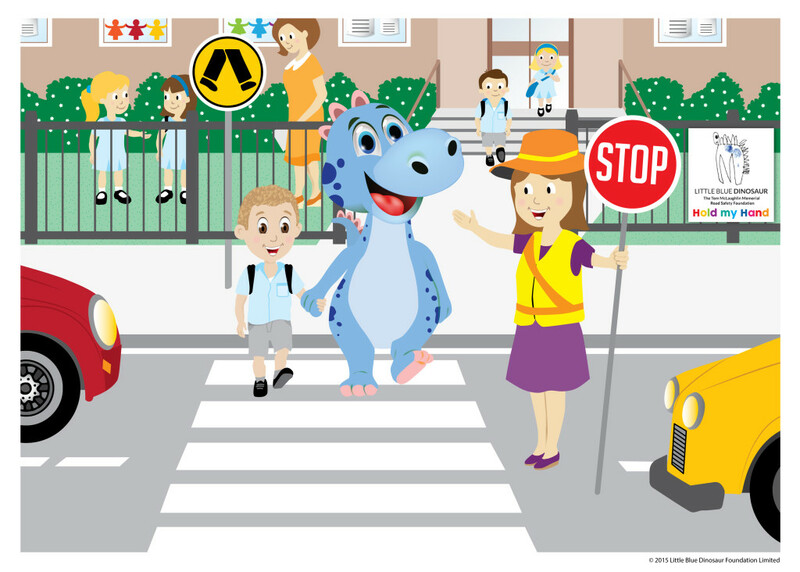 Teaching our children about road safety is an important step, but modelling safe roadway behaviour is one of the most lifesaving methods to ensure that our children understand the difference between safe and unsafe behaviour near roadways. Being patient, crossing roads in designated areas such as traffic lights & pedestrian crossings as well as not using our mobile technologies when we are pedestrians or drivers are all important behaviours we must show our children every day to avoid these unsafe habits becoming your children’s dangerous behaviours. School zones are back in operation from this week in most states, so drivers must reduce their speed to 40km/h and watch the road carefully for excited and unpredictable children around schools. There are flashing lights, different signs and other excited children around schools, so having a discussion about how to get to and from school safely is a simple conversation with an enormous benefit. Children become what they see – safe roadway behaviour isn’t just for children and should be shown to them by their accompanying adults every day.